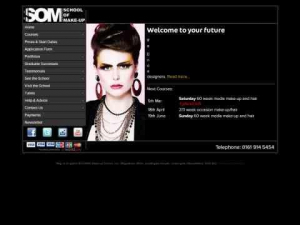 School of Make-Up was set up in 2000 by celebrity Make-Up and Hair Artist Elaine Myers-Jones. She still actively teaches on the courses alongside her freelance career. Her husband, AJ, a former professional photographer, is now the manager of the School. Offering full and part time make-up and hair courses in TV, Film, Fashion, Photographic and Special Occasions, we will have a course that is right for you.